With the advent of cyberspace, the number of online scams are on the rise and online recruitment scams being a major cyber crime with rising statistics. A typical scam email or advertisement will mention a spoofed email id of a reputed company and will either offer you a job via email, or will place a newspaper advertisement with the contact email id for victims to fall prey. On responding to such an email, a victim will receive a positive response and will be asked to deposit a refundable amount of money in a specified bank account for securing the job. Once the money is deposited, the recruitment scammer disappears for good and your money is gone! No real job requires any kind of fee, including administrative, visa processing, work permits, certificates, authorizations, “Affidavit of Guarantee”, “Letter of Attestation”, “Affidavit of Oath” “Affirmation”, or other legal or immigration fees. No real company ever requires you to make a “refundable” deposit before you are interviewed. No real company says it will reimburse you for expenses! 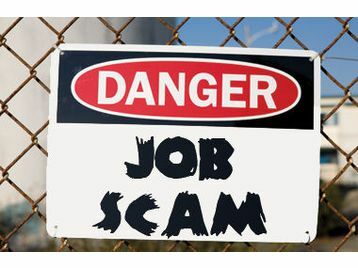 As soon as you are asked to pay any money for anything, including a visa or work permit, that tells you there is no job, it is a scam! However, Cyber Laws has a legal recourse to recover your money if you are a victim of such scams. Online Recruitment Scammers can be booked under the provisions of the Information Technology Act, 2000 and The Indian Penal Code. File a complaint with the Cyber Crime Cell to trace the ip address from which you received the scam email. Submit a Customer Dispute Resolution Form with the Bank from where you have transferred the money. Make a complaint to the Bank in which the Scammer has a bank account, where you have transferred the money. File a Complaint before the Adjudicating Officer, Information Technology Act, 2000 against the Bank where the scammers bank account is functional, along with making the ip address a party so that the Court orders a tracing of the ip address. The Court will further conduct an enquiry into your complaint and the matter will be heard and decided within a period of 6 to 9 months. The Application Fees for filing a Complaint is Rs. 50 and depending on the claim amount a court fees is payable. 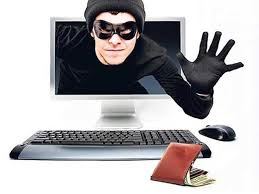 If you are a victim of an online credit card scam, then you can seek redress and relief under cyber laws. In the recent judgement of December 2014 by Adjudicating Officer, Information Technology Act, 2000 in the case of Bal Kishen Rai.v. PNB & Ors., the Court held , that even if a victim divulges his own password by mistake in a phishing scam to a cyber criminal, in case on internet banking, he is still protected by law, and in the light of the Indian Banker’s Code 2014 read along with recent RBI Guidelines and the principles of the US Banker’s Code, in cases of Internet Banking Frauds and Credit Card frauds a victim’s liability is restricted to Rs. 10,000 only and the loss has to be borne by the Bank. This is a principle of US Internet Banking Law which in this landmark judgement for the first time has laid the foundation of Indian Internet Banking Liability which is pro-consumers and completely protects their interests in cyber crimes. Where your bank account is debited by an unauthorised online transaction. Where your credit card has been used without your authorisation for any transaction. Where you have given your transaction password to a scammer in response to a Phishing scam, which means you receive an email which resembles an email from a bank asking for your bank account details. Where you have divulged your OTP in a Vishing scam. A vishing scam is one where a person personates a banking official and contacts you to obtain your credit card information on the pretext of generating a new PIN for you, and in the process undertakes online transactions using your credit card data and cheats you into divulging your OTP so that he can complete the transaction. Where a cyber criminal uses a duplicate SIM card of your registered mobile number, and using your credit card data and due to duplicate SIM has access to OTP also. Where your SIM card is cloned. SIM card cloning can happen in hotels, shops and any place where you use your credit card for a transaction, and your credit card data is stolen and a cloned credit card is made. If you are a victim of Online Banking, then you have legal recourse under the provisions of Section 43 of the Information Technology Act, 2000 which deals with Unauthorised Access along with legal recourse against the Bank under Section 43A of the Information Technology Act for failure to protect your sensitive information and passwords, with claim for compensation upto Rs. 5 Crores. A victim can file a complaint of the cyber crime in the prescribed format before the Adjudicating Officer, Information Technology Act, 2000 with the prescribed application fees of Rs. 50 and requisite court fees. The duration for the disposal of cyber law matters is speedy and is within 6 to 9 months of filing the complaint.